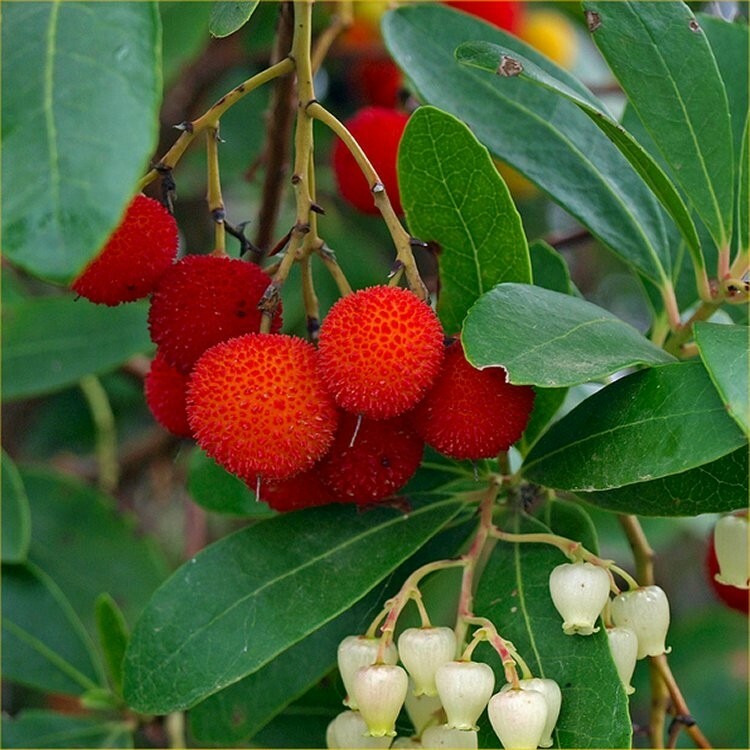 Arbutus, also known as the Strawberry tree is a spreading, shrub or tree with attractive shredding brown bark and glossy bright green leaves. It is attractive in autumn when the white flowers, often tinged pink, are produced and the fruit from last year are turning red. The tree gets it's name from these fruit, which look like strawberries but sadly don't taste like them. 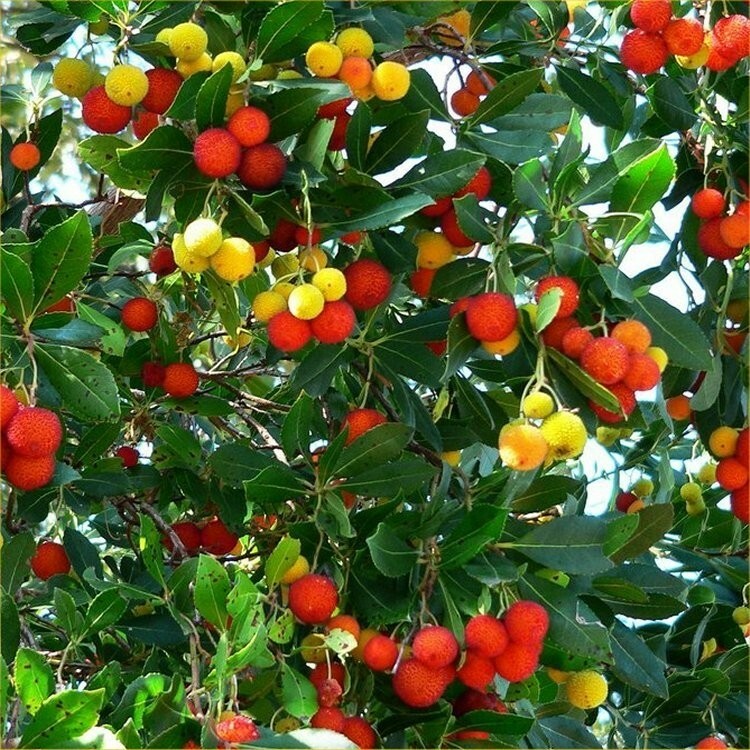 An excellent tree for costal gardens or in a sheltered spot inland, or perhaps used towards the back of a mixed border planting.